In many countries, a mismatch between skills taught in school and skills demanded in the workplace have left young people unable to find jobs, start their own businesses, or otherwise contribute to their communities. EDC’s Work Ready Now! (WRN!) delivers relevant and effective work readiness training to youth, giving them a second chance at economic success. WRN! participants develop the work readiness skills needed for economic success, such as communications, leadership, workplace safety, and financial literacy skills. Eight content modules that can be delivered in varying amounts of time, from 44 to 100 hours. Modules can be delivered in a wide variety of settings, from vocational schools to local youth-serving organizations. The WRN! implementation toolkit, which supports staff involved in creating, adapting, and assessing work readiness programs. WRN! 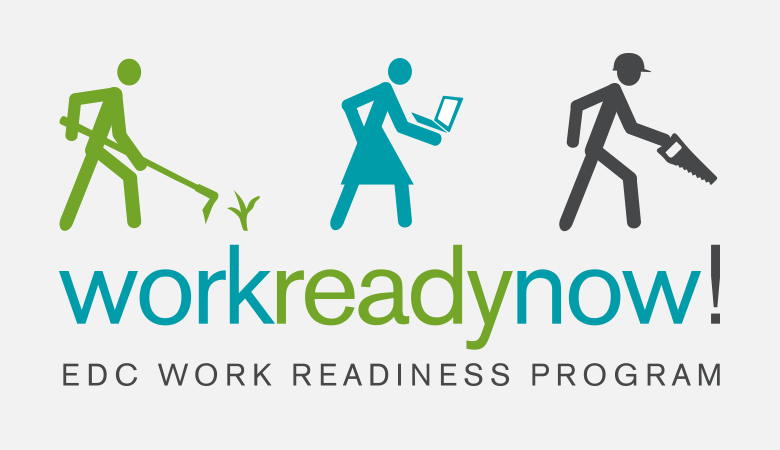 assessment tools, which include a work readiness credential test and digital badge that demonstrate preparedness for employment for those who pass the test. Since 2007, WRN! has been implemented in over 20 countries and translated into more than 15 languages. More than 200,000 youth have been trained using the WRN! work readiness curriculum. WRN! has been adopted as the national work readiness curriculum in Rwanda and Macedonia. In Rwanda, according to a survey of employers, 97 percent of WRN! graduates met or exceeded employers’ expectations. In addition, 85 percent of employers surveyed said that WRN! program graduates performed better at work when compared to other employees. In Rwanda, WRN! test scores among youth positively correlate with finding full-time employment and negatively correlate with being fired from a job.